For the last few decades, a continuous and burning debate has been going on among intellectuals, and that has made everyone across the world jump on the bandwagon. 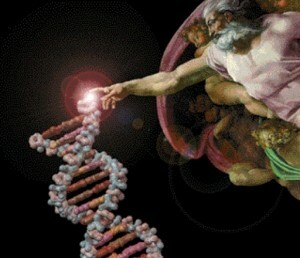 So, the moot issue being which one is true- evolution or Intelligent Design. According to Charles Darwin, the theory of evolution suggests that all the living beings can be traced back to the same and common ancestor. Different forms of lives that we see and observe today have been changed and mutated over the time. The theory further states that with the help of natural selection, the strongest of the species were able to survive. Intelligent design, on the other hand, doesn’t believe in evolution as well as natural selection and suggests that there is an intelligent cause behind the creation of all the things. The proponents of evolution believe that intelligent design is a religious topic disguised as science and is not supported by scientists. Whereas, the supporters of intelligent design believe it to be a science. The supporters of evolution claim that intelligent design doesn’t have any scientific basis because it does not encourage asking questions and debating issues. They also believe that intelligent design cannot be taken as a science as there is no credible scientific body that follows it. However, it cannot be concluded that the topic of intelligent design, however, flawed it seems to be, should not be discussed at all. After all, it is the students and scholars who have to make their views obviously based on facts and findings. The proponents of intelligent design further add that considering the countless life forms and the way all of them are working perfectly, clearly indicate that unless there are some intelligent phenomena going on somewhere, could not have existed in the first place. You can explore more interesting debates and discussions related to education by following the blogs of our allassignment help UK experts.